The Vegetation of the Ozarks Workshop offers a field-based educational experience focusing on the plants and plant communities of the Ozarks. The first half of the first day will be spent in a classroom setting where students will be familiarized with botanical terminology as it pertains to the identification of vascular plants. The remainder of the workshop will be spent at various field locations where participants will apply this terminology to living plant specimens in situ. 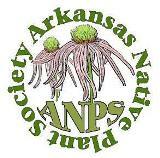 The instructor, expert botanist Justin Thomas, will teach the characteristic plants that define several different natural communities in the Ozarks. Most of these species are also common components of the eastern deciduous forest system making the workshop applicable to a larger understanding of Midwestern flora in general. Time will also be spent familiarizing participants with the use of dichotomous keys to plant identification which will provide participants with the skills and resources necessary to identify plants on their own. The morphological characters of plant families and major genera will also be discussed in order to familiarize participants with the larger phylogenetic and phytogeographical trends and vegetation patterns in North America . Since discussion of most plant communities includes specific geologic influences, many elements of the geology of the Ozarks will also be covered. The workshop will include discussion, demonstration and hands-on experience with various sampling methodologies that are currently being utilized by plant/community ecologists. This is presented by the Institute of Botanical Training.